I was at the Gallery on Sunday, 11-11-12 – Remembrance Day in the UK. A gun fired at 11:00am to mark the start of the two minutes of silence. And fired again at the end of my thoughts. 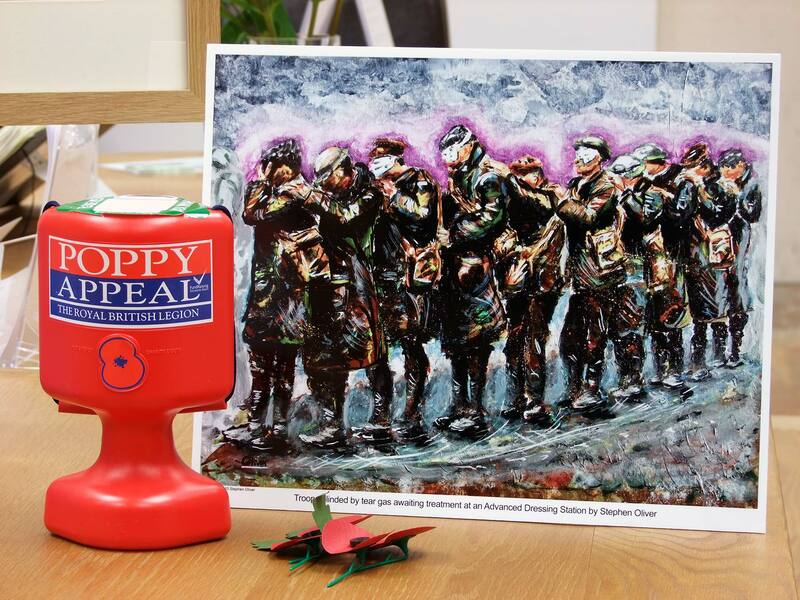 The photograph is of my artwork – an interpretation of a First World War image ‘Troops blinded by tear gas awaiting treatment at an Advanced Dressing Station’. Remember those that suffered so that we do not have to.